Turning 40 is kind of a big deal. You’ve been alive nearly half-a-century, but you’re not quite over-the-hill, so you can still enjoy a great party. If you’re turning 40, or know someone who is, make sure the party is sufficiently impressive to mark the occasion. No lame paper party hats or warm beer served in boring paper cups; if you want to remain young at heart, even as you age, you need to keep your partying cool with great decorations and accessories. For most people turning 40, a night of clubbing or a pub crawl just isn’t the same as it was when you were, say, 20. Besides, you can really do those things any night, if you wanted to. Instead, look for a venue with enough room for all your closest friends and family, or consider having the party at your home, if you have enough space. If you hire out a hall, make sure you find out if you’re allowed to decorate it, and if so, if there are any restrictions. You’ll also need to make sure there’s a place to keep cold food fresh and heat up hot food, if you aren’t having the party catered. If your friends don’t really know each other, be sure to give them something they can all talk about or enjoy together. Great music, interesting table decorations or even silly party games are all great ways to get them mingling and keep the party atmosphere going strong all night long. If you hire a DJ, make sure you request plenty of songs that you like, or you could risk getting a rehashed Top 40 playlist that you, and your guests, hate. Offer up a playlist of your own, or just ask if you want to stick with a particular era for music, so everyone will be up and dancing. Themed parties aren’t just for children. 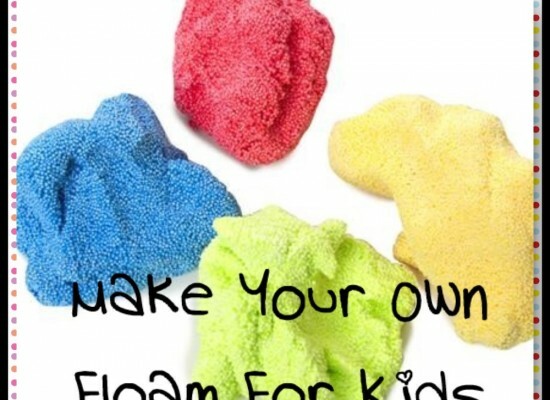 There are plenty of great theme ideas that adults will love and that are easy to plan. A great theme makes your party more memorable, and makes you look really cool as well, which is important because we all know that aging reduces your cool factor considerably, unless you’re Madonna or George Clooney. How about an ocean or underwater themed party, complete with ambient wave lighting? 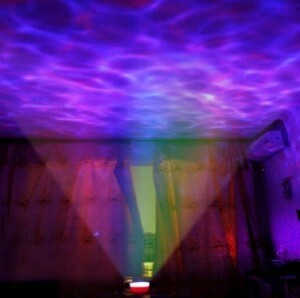 You can bring the beauty of rippling water indoors, or project it on an exterior wall, with a wave projector. The effects are stunning, and you don’t have to spend ages working on decorations, since it covers a large area. If under-the-water themes leave you a bit claustrophobic, consider “under the stars” as your 40th birthday party theme. Use a laser star projector to create the night sky indoors, then serve your guests appetizers and cocktails under the midnight sky. It can be funky and out of this world, or a little romantic, depending on who you invite. LED lighting is, for lack of a better word, brilliant. You never have to worry about LED lights getting too hot and making your guests feel uncomfortable. They’re pretty, easy to use, and just plain fun. If you want a subdued, relaxing look for your 40th, try simply adding some white LED string lights around tables or along the walls. 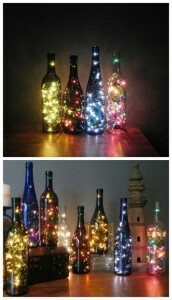 If you opt for battery-powered lights, you can even use them outdoors, making it easy to transform any space, instantly. For something a little funkier, try placing inflatable LED chairs around your venue. Not only do these light up, providing a pop of colour, but they are comfy chairs that can be moved around as needed. Pair them with Peel and Stick Party Dots to create a funky, futuristic look that is sure to impress your guests. Your 40th birthday is no time to be tucked away indoors. If the weather is good, plan your party outdoors, or even by the pool. This lets you fit more people in your party space without feeling crowded, and it can help keep your floors from being stained from spilled drinks. Why not serve your favorite childhood dishes for your 40th? You can even order retro sweets from the decade in which you were born, which can be perfect for creating a “throwback” style candy buffet. Whatever you serve, make sure you use plastic cups and plates. After a few drinks, the last thing you want to worry about is dealing with a broken glass that’s been dropped or knocked over by a guest. 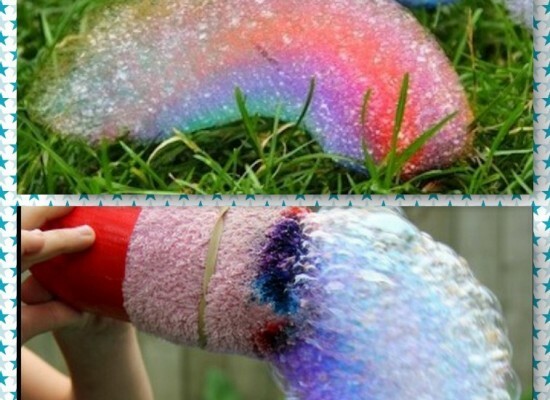 Don’t forget to decorate outdoors for your party. No electricity? No problem. Just use wireless, battery-powered LED lights instead. 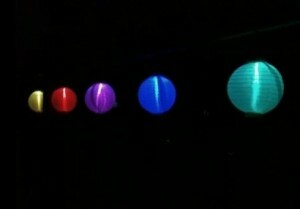 Colour changing paper lanterns can instantly add drama to any outdoor event. They’ll look amazing at your party, then you can hang them indoors to create a party atmosphere all year long. While you could just serve any old appetizer to your guests, it’s best to push the boat out a bit on your 40th. Offer up a cocktail bar, mini-versions of favorite foods, like sliders and mini-pizzas, and plenty of snacks for guests to nibble on as they mingle. Unusual foods that bring back a bit of nostalgia are great, too. 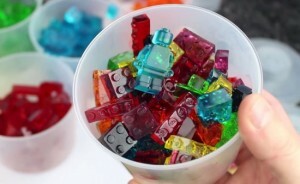 Try making some Boozy LEGO jellies for your grownup guests to enjoy. They can stack them up like they did when they were kids, then knock them back for a very grownup treat. One must-have for any 40th birthday party is a cocktail fountain. Fill it with champagne, cocktails or with punch, either way, it’s impressive, easy to use and lots of fun for guests. Plus, it doubles as a great table decoration. 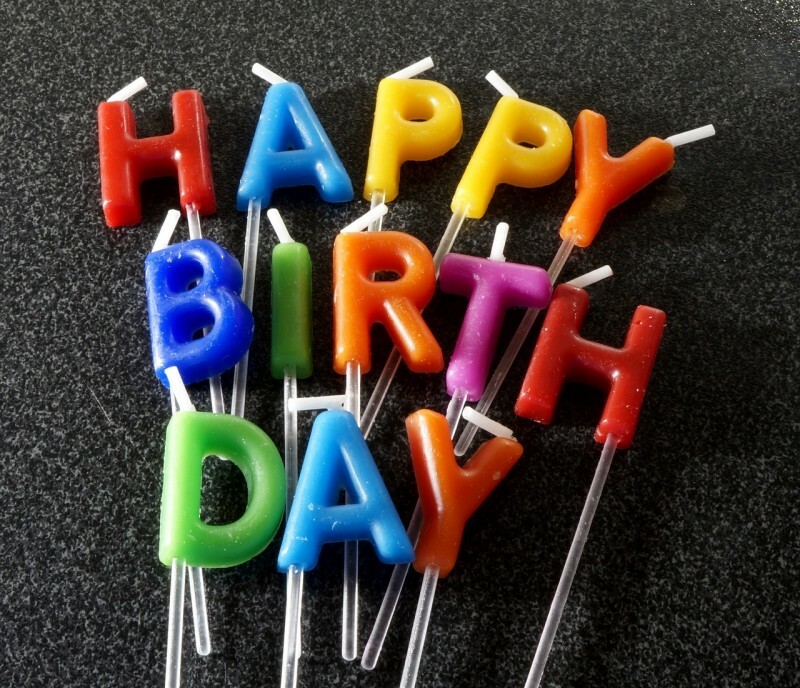 Don’t let your 40th birthday party feel like “just another party.” Make it special with a little planning, plenty of good friends and a lot of celebrating, however you choose to do it. 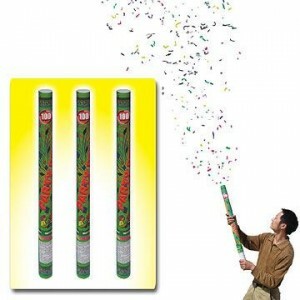 One of the best ways to make this night go of with a bang is with these awesome streamer cannons.. Simply twist them and KABOOM!